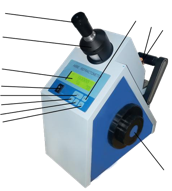 This instrument can widely be used in petroleum, chemical, pharmaceutical, sugar refining and food industries, as well as in related colleges, universities and scientific research institutions for measuring the refractive index ND of transparent or subtransparent liquid or solid substance. 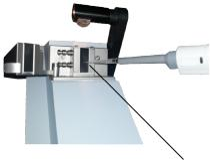 This instrument can also be used to measure Brix (BX) of the sugar solution, and to correct the affect of temperature on the Brix automatically. 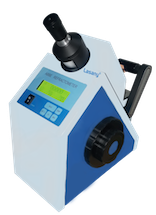 In addition the instrument can display the temperature of the sample. 6. Push button for Brix with temperature correction "Bx - TC". 7. 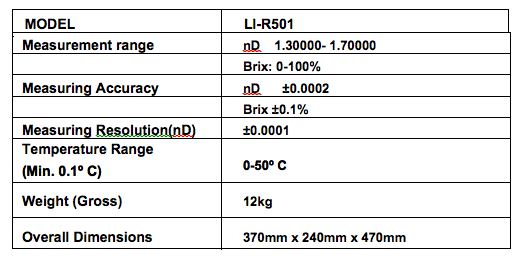 Push button for the refractive index " D". 8. Push button for Brix without temperature correction "Bx". 12. Push button for temperature indicating. "TEMP". - 3 lamps 6.3V, 0.25 A. - 3 fuses 1 A.